Gaby's "real" job is a Strategic Account Manager at Logic Supply. 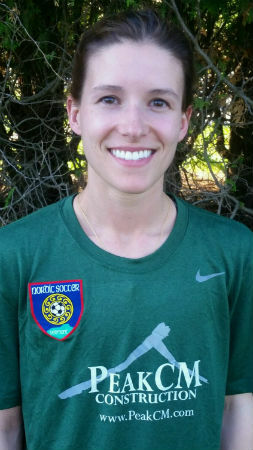 Her playing/coaching experience includes playing club soccer for Seacoast United in NH, High School soccer at St Paul’s School and college soccer at Holy Cross. Prior to joining Nordic, Gaby coached Seacoast summer camps through high school and Holy Cross summer camps through college. Fun fact: Gaby got stung by hornets/wasps/yellow jackets on 8 different occasions through the course of 1st grade but hasn't been stung since!